The big difference is our approach - as opposed to a product training session - we embed the sessions in their various job functions. Teachers need to see Technology optimising their efforts to become early adopters of cutting edge solutions. 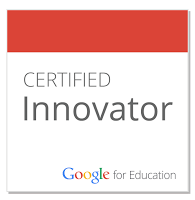 At Level 1, this program introduces teachers to Web 2.0 tools and Google Apps for Education by Google Certified Teachers and Educators.